Sometimes you just need a good ghost story. Something slightly spooky without being over the top, something that’ll give you a touch of the goosebumps. This story by Wendy Webb does just that. After her marriage ends badly, Kate returns home to recover. Peace and quiet, time to reflect, is just what she needs. Those thoughts are tossed aside when a body washes ashore near the family home. And it’s not just any body. Kate recognizes the woman. She knows her, not from real life but from her dreams. How does one explain this to the authorities, though? Especially since Kate herself is somewhat of a suspect. With the help of her cousin, Simon, Kate begins to dig deeper into the mystery of the dead woman. As she uncovers more and more of her family’s past, she finds secrets she’s not prepared to confront. And some of these secrets are a danger to her. This was a really good story, better than I expected it to be. Part murder mystery, part historical fiction, part ghost story, it has a bit of everything! I adore stories like this one. A classic, well-known tale retold in a new way. You think you know the story, but you’ve never heard it told like this. Everyone knows the story of Ichabod Crane and the Headless Horseman. But in this version, all other characters take a backseat to Katrina Van Tassel. This is her story, and it’s a good one. The old familiars are all there, Ichabod and a ghostly apparition wearing a jack o’lantern for a head and a small 18th century village. Katrina’s voice, however, is the one that we hear. Through her heart and soul we hear a different perspective. We hear of love and hope, loss and despair. I loved this book for so many reasons. The original tale is one of my favorite classics, and this version is an excellent companion. Katrina is a character for the ages, strong and confident and everything you’d want a female lead to be. Read the original if you haven’t, and then definitely read this one! Horror story with supernatural elements set in the swamps of Louisiana? And an amazingly beautiful cover? You bet! When I requested this book from NetGalley I had never heard of Christopher Rice but I was intrigued by the promise of a good spooky story. After the Delongpre family mysteriously vanishes one night in the bayou, those left behind are forced to carry on without truly knowing what became of Noah, Millie, and Niquette. Young Niquette’s best friend Ben and boyfriend Anthem are the hardest-hit by this tragedy. A decade has passed and they both still struggle with her memory in their own ways. However, when strange events begin happening around those connected to the family, the real frightfest begins. What is causing animals and people alike to lose control of their minds? What really happened to the family along that dark stretch of swampy road years earlier? Is the family still alive? This story was a true horror story. It was creepy and spooky but also had an engaging storyline with good character development. On a side note, I feel that any review of this book must mention the fact that the author is the son of horror story master, Anne Rice. That being said, I didn’t know that when I requested the book and it didn’t sway my opinion at all. A definite must-read if you like creepy paranormal stories! What a thrill it was to receive this as an ARC months before the release date. I’d been eyeing it for several weeks after I added it to my wish list, so of course I had to jump right in when I got it. I have to start off by saying that the cover is one of the most beautiful introductions to a story I’ve seen in awhile. Simple and understated but so elegant and indicative of the story. 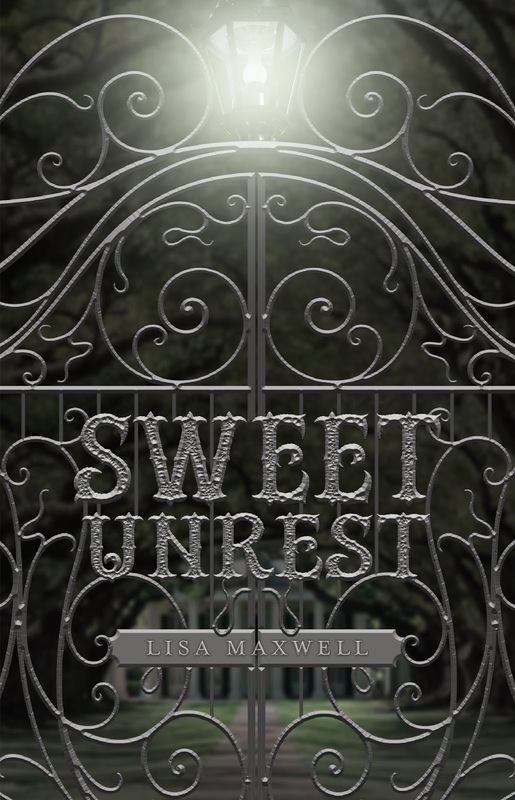 The story centers on Lucy, a teenager who has been dragged against her will to an old plantation outside of New Orleans when her dad takes on a new job. She’s determined to just ride out the summer until she can return to Chicago. Through a combination of dreams and encounters with a mysterious stranger, she begins to uncover secrets both old and new. Although parts of the story take place in the distant past, much of the danger is very much set in Lucy’s present day world. 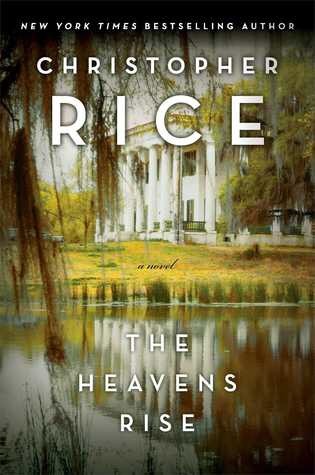 I have a weakness for stories set in Louisiana and New Orleans in particular so this one was right up my alley. It’s a ghost story and love story wrapped up in one but, have no fear about it being too scary or gruesome. And although the story centers on the dark and spiritual world of voodoo, much of the scary stuff is left to the reader’s imagination. It’s simply a beautiful tale, reminiscent of legends passed down over time. An excellent debut novel from an exciting new author!